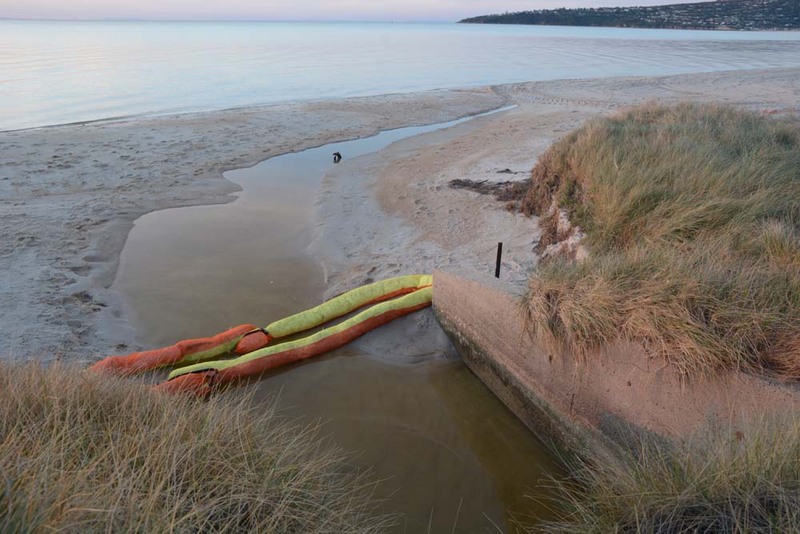 A PERSISTENT fuel leak from a drain is discolouring sand and polluting the water at Dromana. The smell is so powerful that towels used to dry bathers stink for days and oil-slicked water sticks to hands and bodies long after they leave the beach. Safety Beach resident Rob Debernardi became aware of the leak while bathing opposite the junction of Marine Drive and Pt Nepean Road, about 20 metres from the nearest bathing box. “I was swimming two weeks ago and the drain was flowing strongly after a downpour of rain and I smelled diesel fumes,” he said. Mr Debernardi said the contaminant had possibly been accumulating in the drain for some time before being flushed out. He said he called the EPA on Monday 1 April. An officer took details of the complaint and made a follow-up call. Nothing else happened. “I thought they understood the urgency,” Mr Debernardi said. 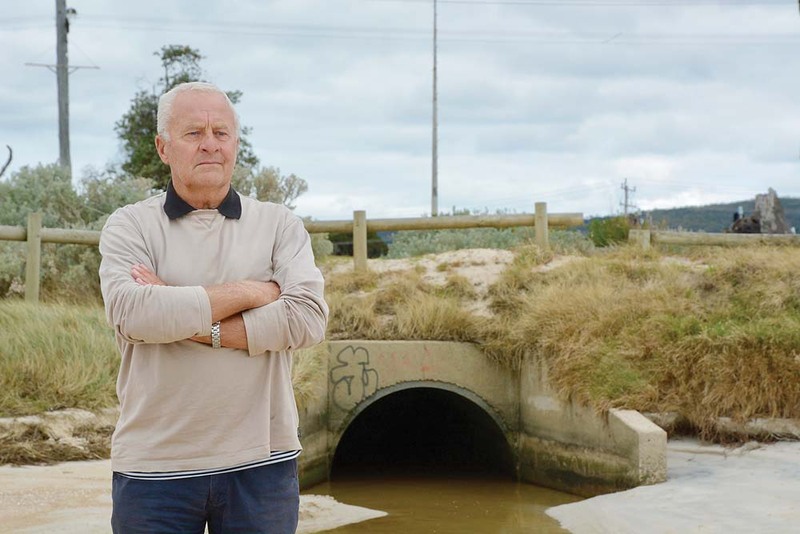 Anecdotal evidence points to a “complicated drainage system” running along Pt Nepean Road, with groundwater movement changing due to its proximity to the bay. Two service stations on the road – a BP and a Caltex – are about one kilometre apart. The News is not suggesting either is responsible for the leakage. EPA Southern Metro Region manager Marleen Mathias confirmed “what appears to be a hydrocarbon (fuel) outflow at Safety Beach, Wednesday 10 April”. “EPA officers identified a drain emptying into the bay [that] had a strong odour to it, potentially of petrol or diesel,” she said. “Working with Oil Response Company of Australia, temporary booms were put in place to contain the outflow while investigations were made to identify the source. “EPA has established some leads and will conduct further assessment to positively identify the source of the hydrocarbons. “Once a source is established, steps can be taken to ensure the problem is rectified and cleaned up. Mornington Peninsula Shire’s manager infrastructure services Jessica Wingad said the drain and outlet was owned by Melbourne Water. “The EPA was onsite yesterday (Thursday) with shire representatives. The EPA is now dealing directly with Melbourne Water to investigate the source of the pollution and manage the outfall,” Ms Wingad said.